Learning how to tell time. We’ve all been there. Since telling time is something we do throughout the whole day I wanted to integrate it throughout all of my lessons. The way I decided to do this was by having my students create their own clocks and keeping it on their desks. Randomly throughout the day (at the beginning of a lesson, right before or after lunch, etc.) I asked the students to look at our classroom clock and mirror the time on their desk clock. Then they have to tell me the time. When first creating our clocks I used our classroom clock as an example and explained how the numbers are placed in order around the circle, I used a template from this website (which I found on Pinterest!). Some students started glueing the numbers counter-clockwise, which I found interesting and made sure to correct quickly. The clocks were laminated and the hands attached with an envelope pin. 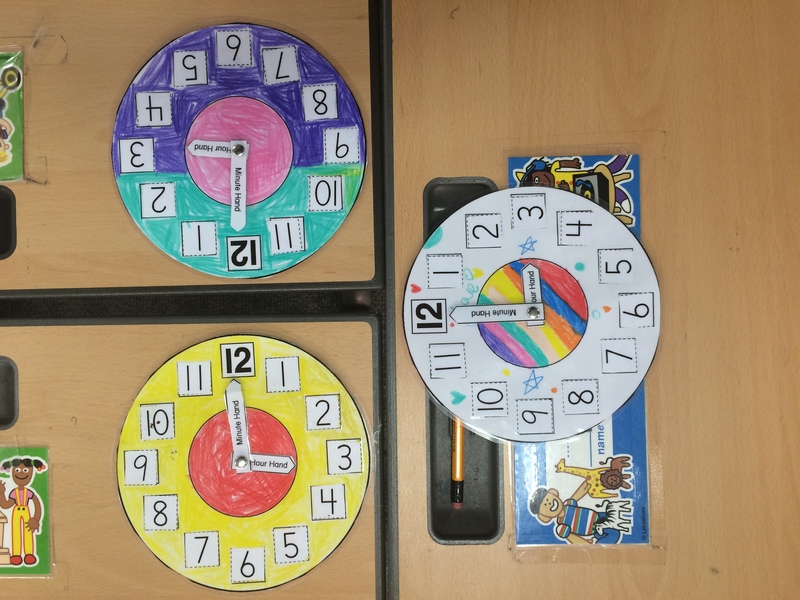 Having each student color and decorate their clock gave them a sense of ownership and pride and they absolutely love having them on their desk. I thought it might be a distraction for them, but most of the time they forget they are there. Then they will randomly ask me if we can change our clocks as a class when I haven’t done it in a while. I started to encourage them to do it even when I don’t bring their attention to it. Sidenote: I am currently teaching New Zealand’s math curriculum called, The Numeracy Project. If you teach this at your international school I would love to hear from you! It’s completely new to me and I am curious if other school’s outside of New Zealand are using it. We would like to officially welcome you to our blog! (I promise that, that will be the only exclamation point I will use in this post, no one likes to be yelled at… even if it is with excitement.) When Jee Young approached me with the idea of co-authoring a teaching blog last September, I am pretty sure I agreed before she finished her sentence. 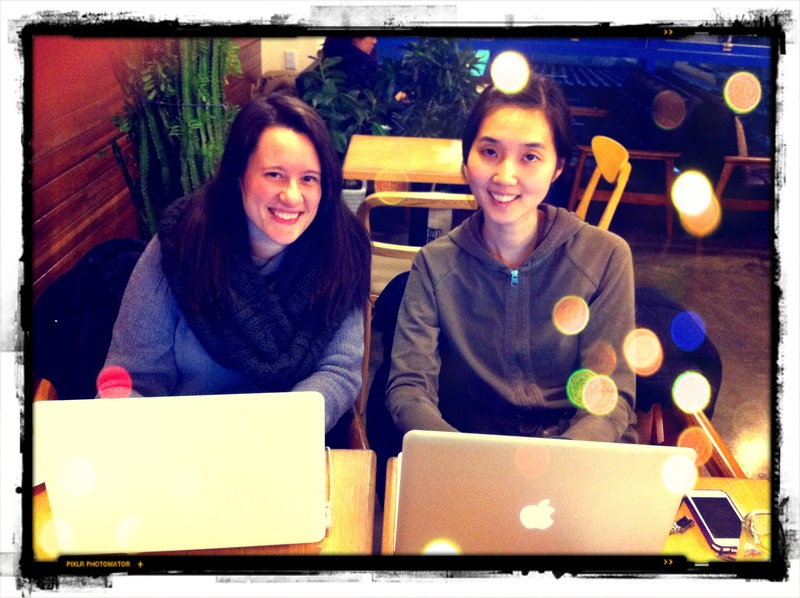 For one thing, we both love blogging, for another, we are incredibly talented teachers (okay… Jee Young may be the brains of the operation, but I bring my own special charm- as people like to tell me… I also bring a LOT of parentheses), and lastly, we are excited to share our ideas. Our main goal is to tap into the international community. We know there are a lot of amazing things happening in classrooms around the world. Teachers are continually finding ways to build their daily lessons around culture differences; teachers are continually looking for ways to work with these culture differences instead of against them. We want to be a part of that. Ready for the world to be a part of twoapplesaday.org!